Art is something precious, a life on it self. A mystery to some and a story to another. When it is done with materials that are polluting and killing it gives that edge of meaning. Indigenous people in Australia formed GhostNets, an art group that keeps the ocean and seas clean by using materials like fishing nets for creating their art. And not only do they clean the ocean and seas with their art, they also keep animals from harm. It is well-known that most nets used for fishing are harmful to different kinds of animals and plants, but people still use them. And not only during fishing they do harm, when they are abandoned and lost in the water a lot of animals get trapped in them. Most of them choke or die because of starvation. GhostNets take those harmful waste out of the water and free the animals that are trapped and still alive. 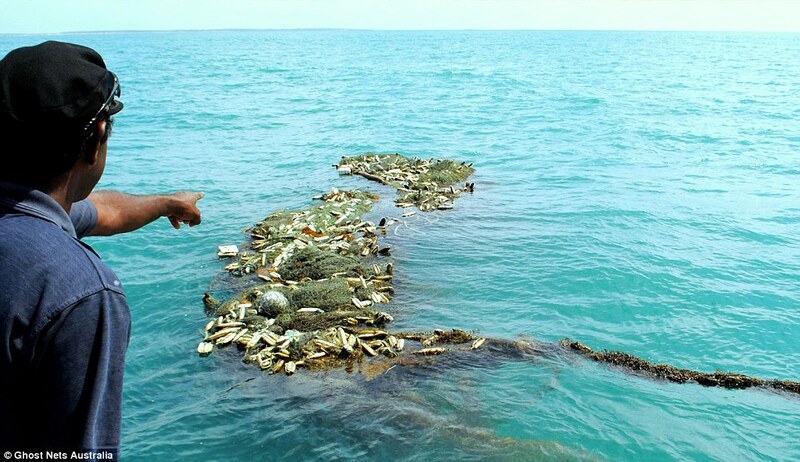 Among the 13.000 ghost nets they removed, they rescued hundreds of turtles and other animals. Pretty great, right? While some are pretty funny..
..you can see the depth and the meaning. Let this be another lesson and especially an inspiration to all the creative people out there! Check out their website to see more of their exhibitions and read about their incredible stories.